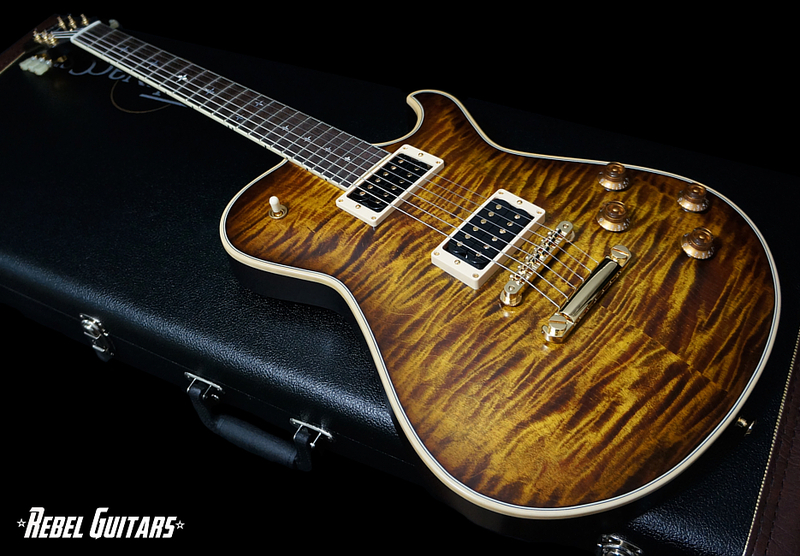 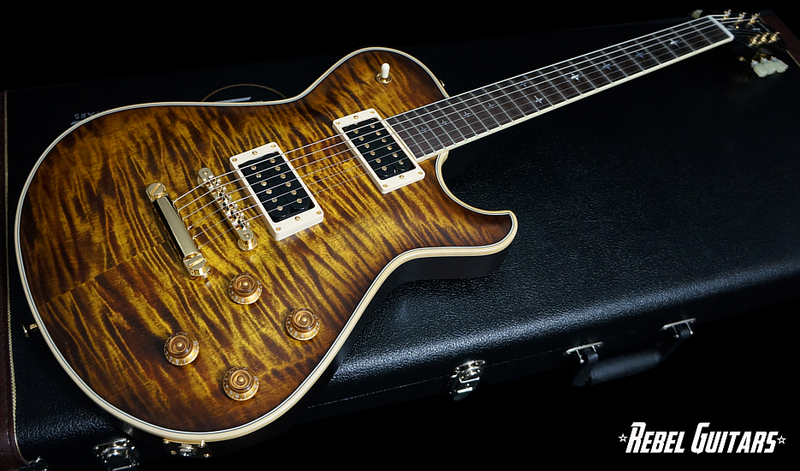 The new Knaggs Kenai T/S Eric Steckel’s signature guitar features a thicker Mahogany body than the standard model Kenai, a Curly Maple carved top and an optional Curly Maple back. 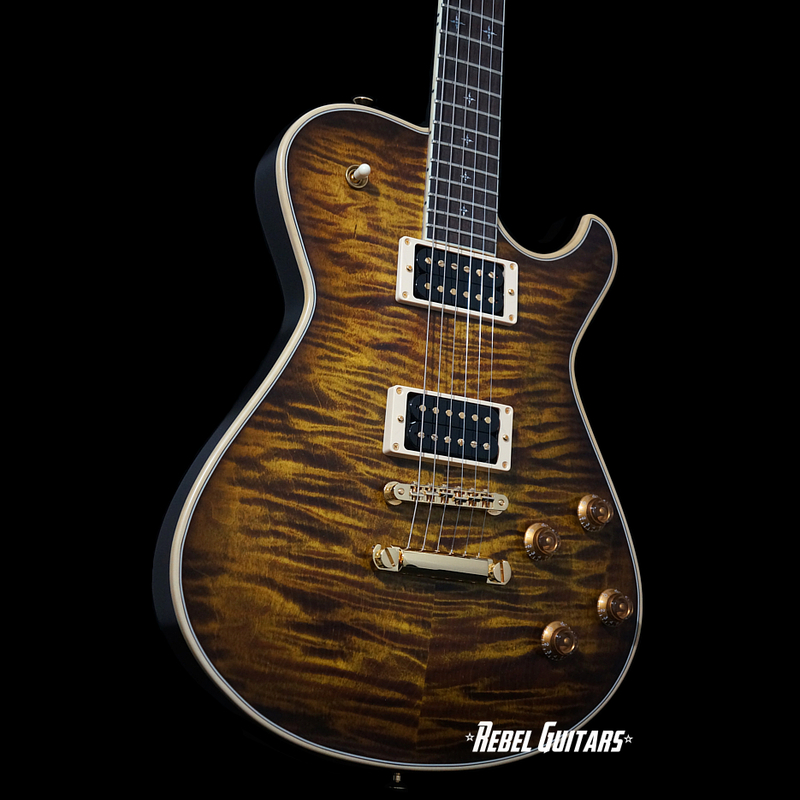 Other features include a custom T/S neck carve similar to a fat ’59 shape, Mahogany neck, Macassar Ebony fretboard with Morning Star inlays, Bare Knuckle Mule Pickups, Kluson Revolution tuners, and a TonePros bridge. 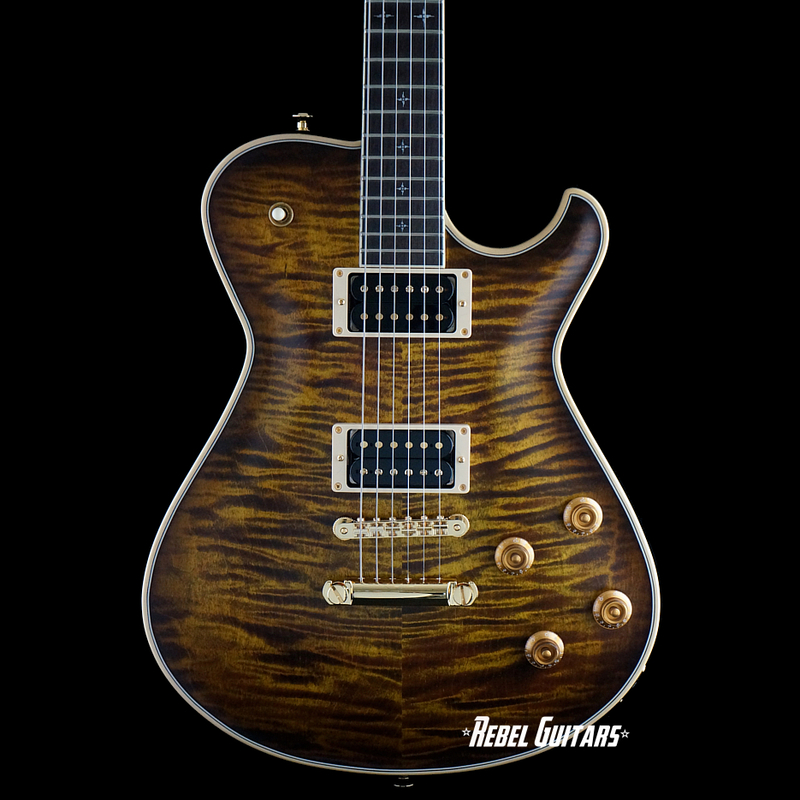 This Kenai T/S is ser#24 and features a Tier 2 Curly Maple top in Sunflower with a bound Mahogany neck, Indian Rosewood fretboard, Seymour Duncan Saturday Night Specials and a signed backplate.